The House Oversight Committee is threatening to hold a former White House official in contempt for ignoring a subpoena issued as part of their probe into abuses of the security clearance process. 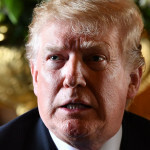 One day after the release of the redacted version of special counsel Robert Mueller’s report, Sen. Elizabeth Warren (D-MA) called for impeachment proceedings against President Trump. House Oversight Committee Chair Elijah Cummings (D-MD) said Friday morning that the House may need to consider impeaching President Trump, but that members of Congress need to first get a better understanding of special counsel Robert Mueller’s investigation. The redacted version of special counsel Robert Mueller’s report released on Thursday revealed a lot about President Trump, but it also shined a spotlight on those he surrounded himself with during the campaign and in the White House. 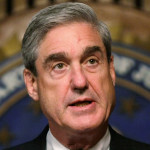 The unredacted version of special counsel Robert Mueller’s report released on Thursday reveals that while the Mueller team “considered” charging Donald Trump Jr. and other campaign officials who attended the infamous June 2016 Trump Tower meeting, Mueller’s team concluded that they did not have enough evidence to file any charges. Special counsel Robert Mueller’s redacted report released on Thursday morning included introductions and executive summaries for both volumes of the report — the first on the investigation into Russian meddling and the second on the obstruction probe. 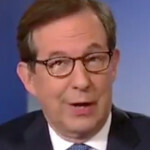 After Attorney General Bill Barr offered quite a sympathetic view of President Trump’s behavior that prompted a probe into potential obstruction of justice, even Fox News’ Chris Wallace seemed taken aback by Barr’s defense of Trump. 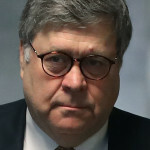 A federal judge on Tuesday said that Attorney General Bill Barr has contributed to public concern about the redactions he plans to make in the report from special counsel Robert Mueller released to the public, according to reports from CNN and Politico. President Trump on Friday afternoon compared his decision to override the Education Department’s push to cut funding for the Special Olympics to his decision to nix sanctions on North Korea favored by the Treasury Department. On Congress’ first day back in Washington, D.C., since Attorney General Bill Barr released his summary of special counsel Robert Mueller’s Russia investigation, Senate Majority Leader Mitch McConnell swiftly used the four-page letter to criticize former President Obama.